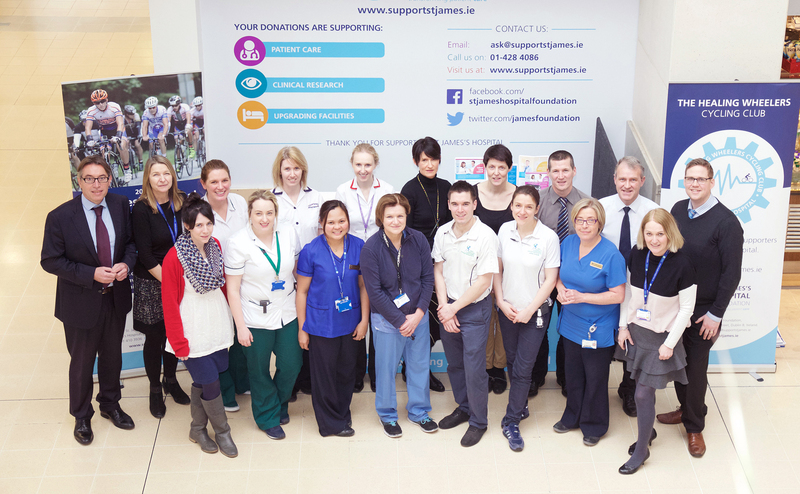 34 successful initiatives will receive funding from St. James’s Hospital Foundation’s 2015/16 Small Grants Competition. Each year, due to the generosity of our supporters, St James’s Hospital Foundation, designates a fund to be distributed through the Small Grants Competition. The available funds are set out each year, according to the level of donations received for the general benefit of the hospital and on agreement with the Foundation’s board. Through this competition, which is open to all staff, the Foundation supports projects and initiatives which will enhance the patient experience. This year, the Foundation’s Grants Committee has approved funding for 34 such initiatives. Paul McCormick (Grants Committee) said “the standard of entries this year was higher than ever.” 92 applications were received in this competition and the Grants Committee acknowledged the time and effort put into them.